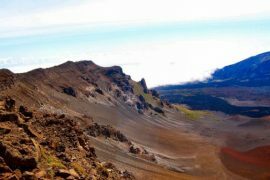 Maui Magic Fun and Adventurous! 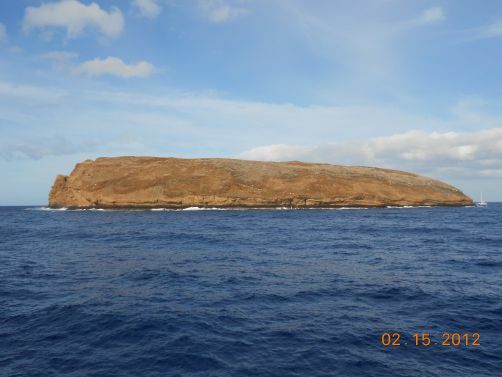 Maui Magic Molokini Snorkel cruise is one of my very favorite boats that go to Molokini!! This tour only takes 35-40 passengers per trip, to make it more comfortable! They have a very friendly crew, great food, a warm shower, and a water slide which makes this boat one of the best!! 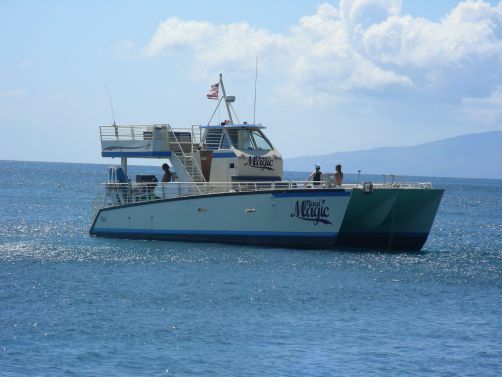 The fastest catamaran on Maui, the Maui Magic is a smooth, fast boat that makes one extra trip down the Kanaio Coastline looking for the Dolphins! 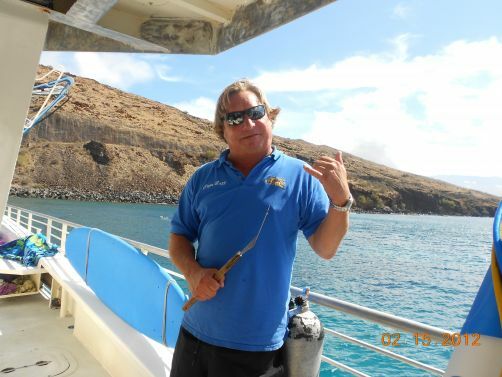 Your captain will entertain you on the way out with stories of Hawaiian lore and legends. 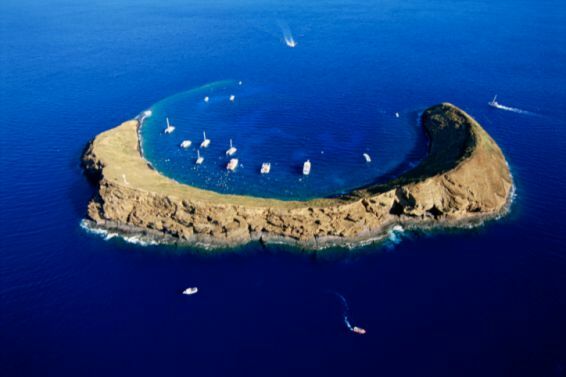 It takes approximately an hour cruise over to Molokini Crater to snorkel. 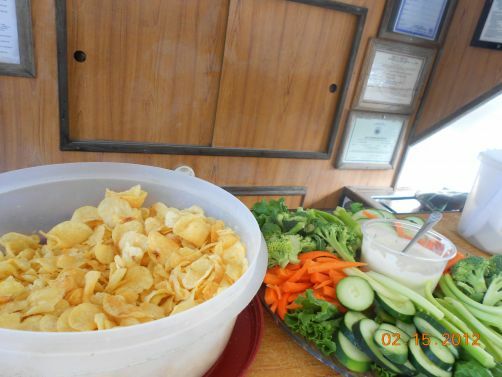 Upon returning to the boat, the crew will offer you a beer and they have a Veggie Plate and Hawaiian potato chips set out (most boats don’t do food at the first snorkel spot); rinse off in the freshwater shower & get comfortable as you cruise over & check out a Turtle Reef. Maui Magic likes to find their own Turtle Reef away from the other boats. Here they will put out the Waterslide. Your Captain will start up the BBQ grill so that when you come back from snorkeling with the turtles, you can enjoy a hot BBQ Lunch. Their menu is Cheeseburgers &/or Hot Dogs, veggie burgers, chips, beer, wine, and sodas. 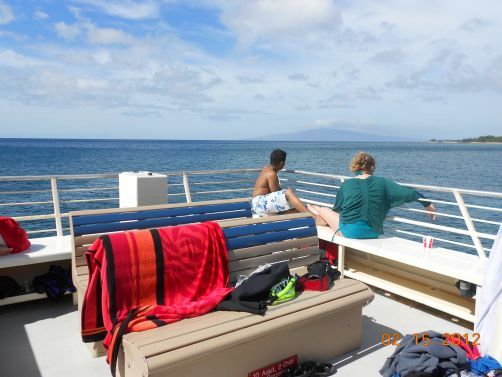 Sunbathe on the boat, snorkel with the turtles, go down the slide or simply kick back and enjoy the views of Maui! 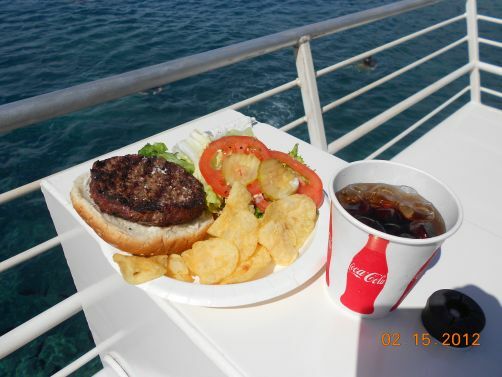 Recently the crew of the Maui Magic Molokini Snorkel tour invented a “Big Kahuna Burger”. Your Captain grills a Hamburger, adds Cheese, Freshly Cut Pineapple and top it off with a split Hot-dog! Very Popular. 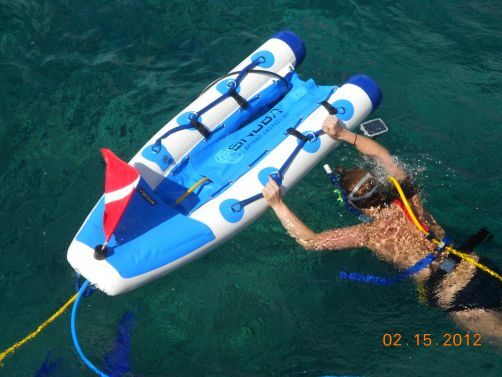 Included is all snorkel gear & instructions, snorkel time at both Molokini & at a Turtle Reef, continental breakfast, BBQ lunch, water slide for fun, beer, wine, sodas & a fun crew! Not recommended for Children under the age of 5 or those that are “older, or frailer”. Or anyone who has had recent back or neck surgeries. The water conditions along the back side of Maui can be quite choppy with waves, as they head out to La Perouse Bay. Parking at Maalaea Harbor. Price is .50 cents for every hour. 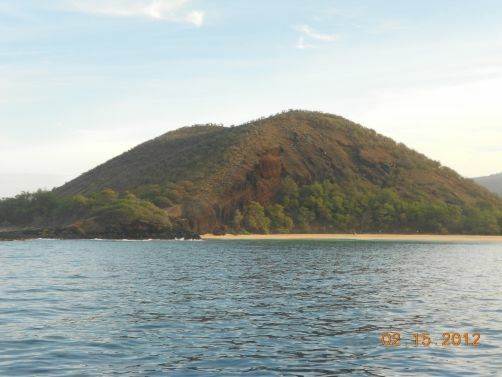 The Molokini Snorkel Tour is normally 5 hours long. However, you may want to make it 6 hours ($3.00) to be on the safe side. No Babies and Toddlers allowed. Children must be at least 6 Years Old. Mahalo. *Not recommended for Children under the age of 5 or those that are “older, or more frail” or anyone who has had recent back or neck surgeries. 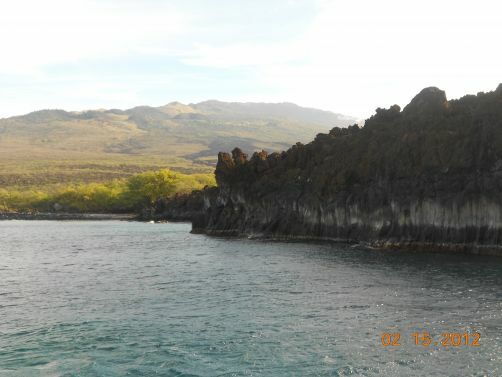 The water conditions along the “back side of Maui” can be quite choppy with waves, as they head out to La Perouse Bay.